Choosing an architect isn’t easy. You need the right architect who has the specific skill for your home or business, and you need the right ‘fit’ between you and your architect. This may or may not be us! But in our experience, the best way of finding out whether we are the right ‘fit’ is to fully understand what you are looking for; this is achieved through out initial design diagnosis session. If for some reason we then discover that we are not an ideal fit, then you are free to take the report to another architect for them to continue the process. 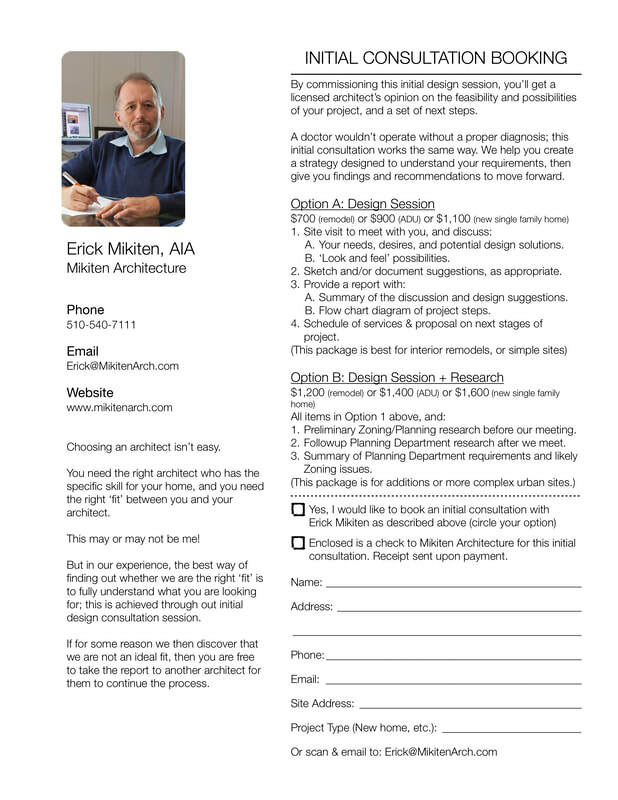 By commissioning this initial consultation, you’ll get a licensed architect’s opinion on the feasibility and possibilities of your project, and a set of next steps. Click the image above to download our consultation request form. A doctor wouldn’t operate without a proper diagnosis; this initial consultation works the same way. ​We help you create a strategy designed to understand your requirements, then give you findings and recommendations to move forward. 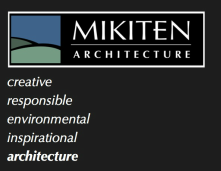 Call 510-540-711 or email fill out our Contact Form (click here) to schedule a call with Erick Mikiten to discuss your project. We ask that you send information beforehand about your project, target construction cost, and your hopes, so that the phone call is productive for you. Your needs, desires, and potential design solutions. Views, neighbors, and other site impacts. Sketch and/or document suggestions, as appropriate. Summary of the discussion and design suggestions. Flow chart diagram of steps for your project. Schedule of services & fee proposal on next stages of project. Preliminary Zoning/Planning research before our meeting. Followup Planning Department research after we meet. Summary of Planning Department requirements and likely Zoning issues.